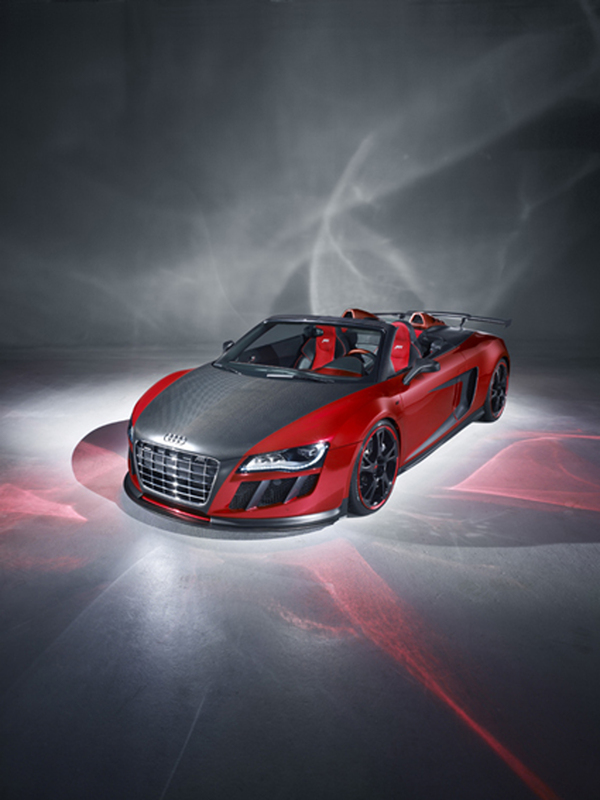 Red is the colour of love – and the Spyder ABT R8 GT S is on display in an elegant, self-confident red chrome tone at the 81st Geneva Motor show 2011. A contrast is provided by the middle section of the car with carbon dominating from the bonnet to the rear wing. When designing the car, the Motorsport Department of ABT Sportsline paid attention to weight reductions and the perfect distribution of weight. With its dynamic carbon inlays at the side and on the covers of engine and convertible-top the cabrio signalises that it is one of the fastest around. The front skirt, rear skirt, windscreen frame cover, red air scoops, engine bonnet or even the mirrors are not just design, they are made of carbon fibre reinforced plastic (CRP) and are correspondingly light. The sports car is the perfect weight to achieve highest performance. The dream car from Bavaria now brings 620 HP (456 kW) onto the road thanks to ABT POWER. This is compared to 525 HP (386 kW) on standard models. 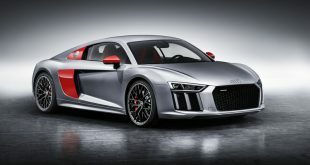 A performance improvement of almost 20% is a statement in the super sports car class: the ABT R8 GT S sprints from 0 to 100 km/h in 3.6 seconds and has a top speed of 320 km/h. The cabrio with the 5.2 litre V10 engine is fully compatible for everyday use and is real fun for cruising on country roads. After all the hot open-top sports car is open to anything. And thanks to the ABT Suspension the setup is optimal at all times. The Sports exhaust system provides good acoustics and is an important part of the design concept, it harmonises with the diffuser, rear wing and trapeze-shaped rear skirt. The car is not just extremely quick, but also looks like it is. It makes hearts skip a beat, especially when the light metal alloy ABT BR in 20 or the CR Superlight in 19 inch announce the car’s inherent power even when stationary. 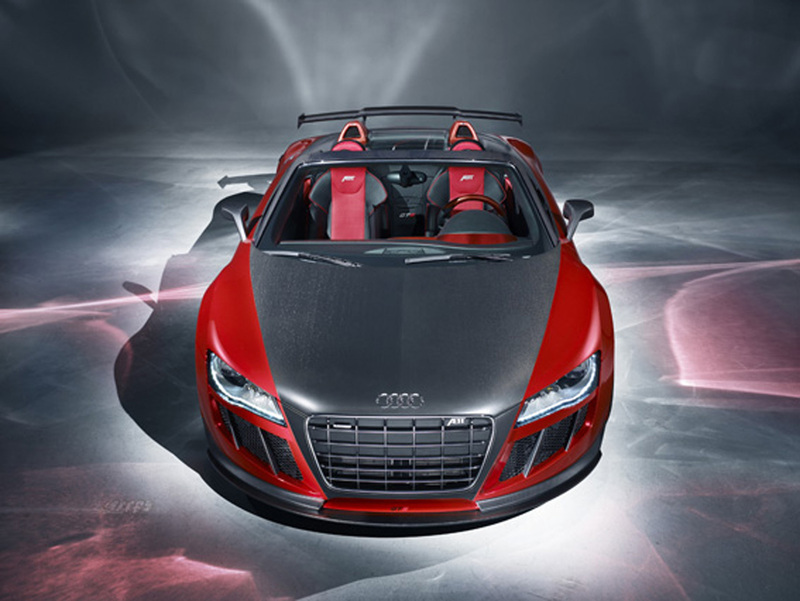 With the ABT R8 GT S the love of detail continues in the interior: ABT Sportsline has dressed the sports steering wheel, the centre console, the shifting gate and parts of the door panels in red carbon. As a contrast the remaining parts of the doors and the dashboard were covered with new leather. The texture of the material is expressive and elegant. The red and black leather of the seats perfectly harmonises with this styling. 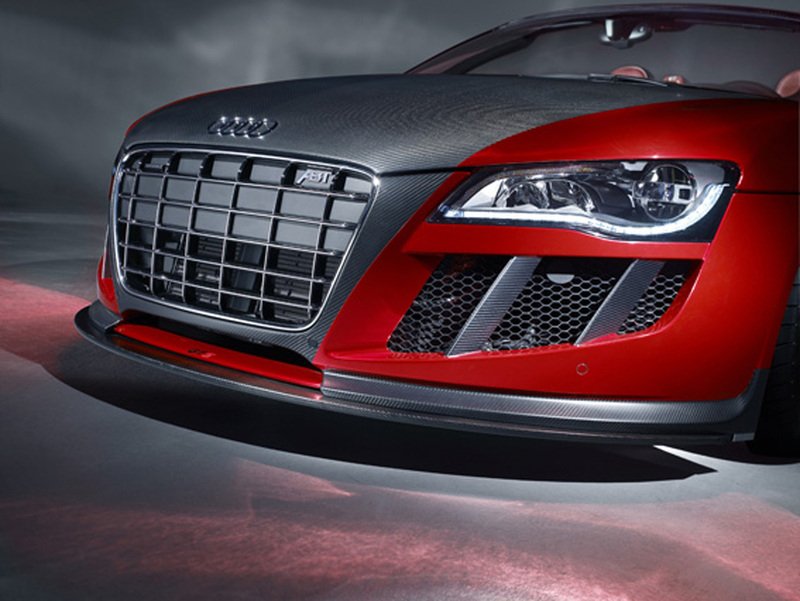 Red safety belts and illuminated door sill panels round off the powerful appearance of the ABT R8 GT S.